Almost all the Indians are great fans of cricket amongst all other sports. Many of the times, you miss some of the matches and convince your friends to the tell live scores. 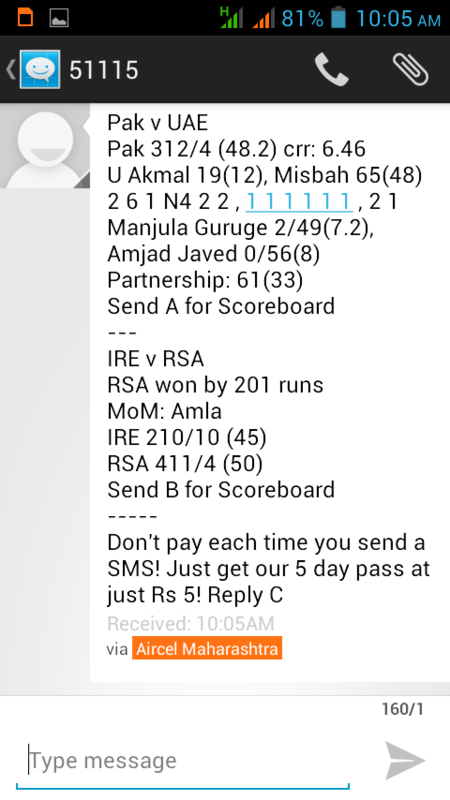 So here is the new way to receive free SMS updates of icc cricket world cup matches. 1) Just give a missed call to 1800 208 2030. Call will be automatically disconnected. 2) Bingo! Now you will get free live score updates of all world cup matches.